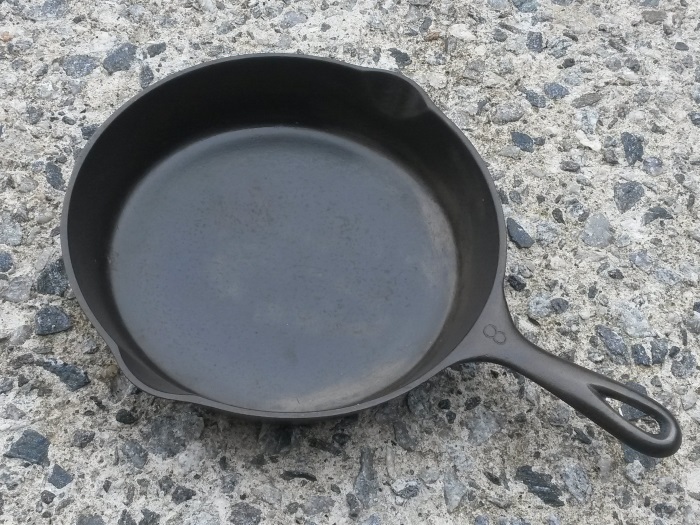 Last weekend I picked up a little project at a garage sale... a cast iron pan that needed some love. If I had to do it again I would start with the wire brush and then do the oven cleaner. Even after the wire brush, I thought it needed one more day in the plastic bag with the oven cleaner. After drying it off, I coated it with some cooking oil and stuck it in the over at 350 degrees for an hour. Here is the result the semi final result. You are really suppose to do this cooking oil and heat cycle 3 times, but I decided to try cooking some fried eggs after the first time ...and they stuck to the bottom of the pan :(. Obviously I still have to keep going but I will be doing it on the BBQ outside, because the inside of my house ended up with a bit of a smog when I did it in the oven.